If you had walked out into my backyard around 4:40 the last few afternoons you would have been greeted with the orange ball of the sun setting with a final low glare over the tops of the buildings that I can see low on the horizon out across the Los Angeles basin. At this time each late afternoon I like to get out the binoculars that I keep next to the back door, and I step outside to watch the last seconds of the sun setting and to find the spot where the last glimmer of light for the day appears. Every night that glimmer has moved a little further to the south. Just a few weeks ago the last glint vanished just behind the cupola of the Pasadena city hall. By just the next day, the cupola was clear, but the sun disappeared behind the building to the left of city hall. Last night it set 4 or 5 office buildings further to the left, still, behind an anonymous office tower that I can't recognize, but through the binoculars appears impressive with the sun directly framing it and the occasional stray bit of light going through a window on the far side, rattling around on the inside, and emerging as the last bit of bit of light before a long winter night. Tonight I watched again, and the sun set behind exactly the same anonymous tower. It hadn't moved at all. Today, therefore, must be the solstice. The solstice is many things: the first day of winter, the earliest sunset, the longest night of the year, the latest sunrise. Most people notice the sunset more than anything else. But solstice comes from the latin "solstitium": sol for sun, and stitium for a stoppage ("armistice" comes from the same root: a stoppage of arms). The stoppage of the southern progression of the sun -- the turnaround to come back to the north -- was considered a big enough phenomenon to give the event its name. The sun stoppage. As the darkness tries to ascend (quickly; these winter twilights don't last) the other part of the season becomes clear. While the nearby glare of Los Angeles means that we never truly have darkness in these parts, this time of year everyone is doing their best to cut the darkness even more. I can see Christmas lights on the houses throughout Pasadena, and, with the binoculars, I can see to downtown Los Angeles where the buildings have been strung with lights. And who can blame them? With the nights so long and the sun moving further and further south, who would not want to try to do their part to make up for the absence of the light and the heat? Who would not be at least a little afraid at this time every year that the sun would somehow not decide to stop and then come back? At our house we celebrate the solstice with our best attempt to coax back the sun. When the night is as dark as it will get, we gather with friends around our Christmas tree, turn out all of the lights in the house, and slowly refill the house with the yellowy-orange glow as we one by one light the dozens of candles hanging in the branches of the tree. Lighting candles on Christmas trees is a well known Bad Thing to Do, but we find that with a tree cut down the day before (and a fire extinguisher on hand just in case), all goes smoothly. Like the sun, the candles slowly go out. Some catch a few warm drafts and burn more quickly, some get less air and burn more slowly, but one by one they all eventually go until, with just two or three left, the house is dark again and the shadows of branches shimmer sinisterly on the ceiling. Finally the last candle sputters and dies, sometimes with a long glow and sometimes with a sudden final pop, and the longest night of the year totally envelopes us. The night sky gets in on the act this time of year, too. Many people who claim to know no constellations in the sky can look up and identify Orion in the winter sky. With the three bright stars making the belt, the scabbard of stars hanging below, and the quartet making the shoulders and knees, Orion is truly simple to identify. But Orion is also composed of some of the brighter of the stars in the sky. In fact, look outside, and look around Orion. Bright stars are all around. The constellation of Taurus, Sirius, the brightest star around. The seasons of the sky are not created equally. Winter is a spectacular display of stars and constellations unlike any other, as if the stars, too, are trying to help us out on the longest winter nights by saving the best show for the very end of the year. None of this is true, of course. The spectacular winter skies are caused by the fact that we are looking straight in to the Milky Way galaxy, instead of out of it as we do in the spring and fall. But still, it is hard not to see the similarity between the lights strung in the town below trying to dispel the night and call back the sun, and the lights above, also seemingly strung for the same reason. Tomorrow, if the weather holds, I'm going to go outside with my binoculars and see exactly where the sun sets again. Because I do this every year, and because I can look up the precise date and time of the solstice, and because I know that the earth will continue to go around the sun with the same tilt for my entire lifetime, I know what will happen: the sun will have moved away from the anonymous office building and finally started moving right again. The day will get imperceptibly longer. Really, there is not much suspense in what will happen, just a certain reassuring inevitability. But if I didn't know these things and didn't have confidence in the inevitable, I can imagine myself holding my breath as the last rays of the sun were shooting out and I was trying to see just where it was setting. I stopped yesterday, but is it really turning around today? Will the days really get longer again? Will my crops (well, ok, my vegetable garden) come back to life? And I'll then see the spot and it will be clearly north and I'll know. And at that point, I will say to anyone within sight: happy new year. For while the calendar claims I have another week to go, the Christmas lights and the candles and Orion and Taurus and Sirius will have done their jobs, and the sun will have started its new year already today and we should all be glad for the solstice. Your observations don't agree with mine, but I'm observing sunrise and sunset times, not locations. I have noticed that the sun does not set earliest on the solstice, but rather, the earliest setting time is about 10 days before the solstice. And the latest sunrise is something like 10 days after the solstice. I'd be delighted if you could explain this to me. Thanks BrianW. I suspected it was due to the non-circular orbit. I spent most of my lunch break pouring over http://en.wikipedia.org/wiki/Sunrise_equation - now I guess I'll look at the equation of time! 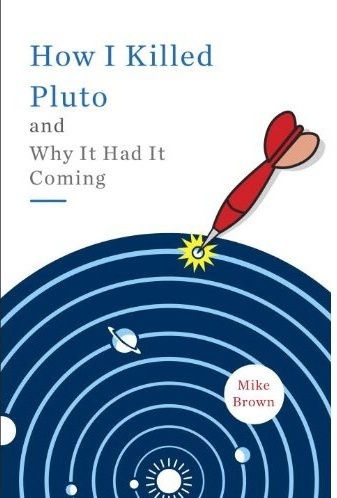 Someone elsewhere commented that something significant happened with respect to the solstice at the same 2006 IAU meeting where Pluto was demoted. I can't find any reference to it, though. Anyone know what he might have been talking about? Thanks! Happy Holiday's Brown Family...and OMGosh you're brave to do the candles! My family does a very similar observance of the solstice but with electric lights--to much fear of something catching fire. The earliest sunset is not on the day of the solstice but around December 16. The latest sunrise is also not on the solstice; it occurs around January 8. Greg, the IAU meeting wasn't held anywhere near the winter solstice or near the summer solstice. It was in August. Are you sure you aren't thinking of the whole 2012 nonsense? Special Happy Holidays wish to a great set of friends--the entire Salit/Rosengarten family! "The spectacular winter skies are caused by the fact that we are looking straight in to the Milky Way galaxy"
What are you talking about? Orion is on the opposite side of the sky to the middle of the Milky Way. We are looking out of the Milky Way in December. If you wanna look into the Milky Way, spend an August in the southern tropics. I always thought of Orion as Cary Grant's bow tie; if the gods were going to place a memento of that graceful man in the skies, the tie he wore with a tux so often would be fitting.